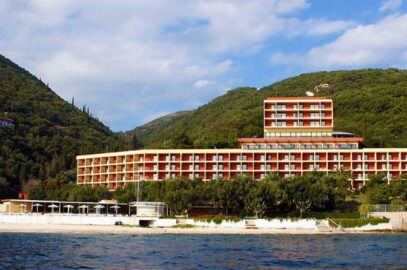 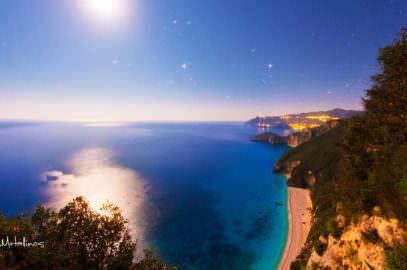 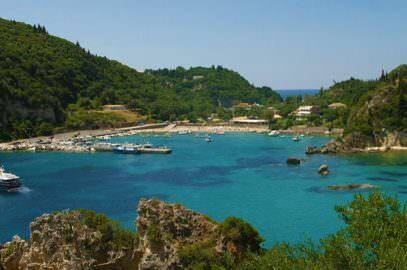 St George south in Argyrades on Southwest Corfu, lays about 33 km south from the city of Corfu. 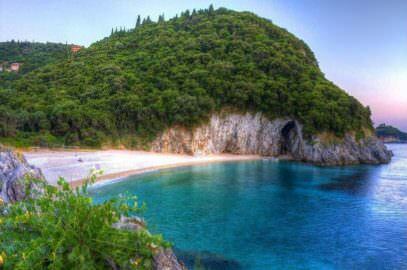 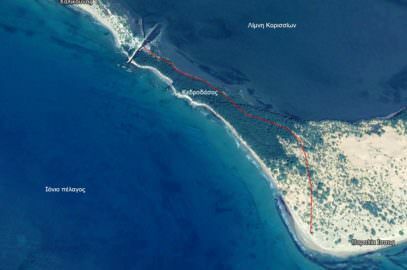 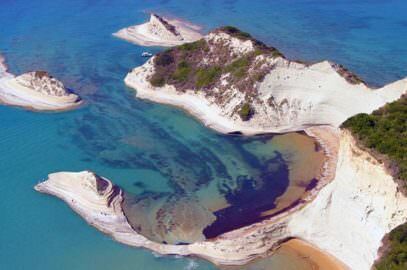 It is also known as Saint George south to stand out from the same name location at the northwest of the island. 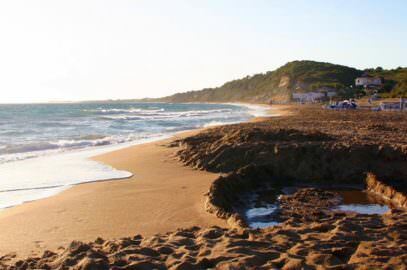 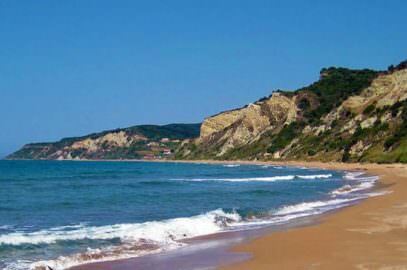 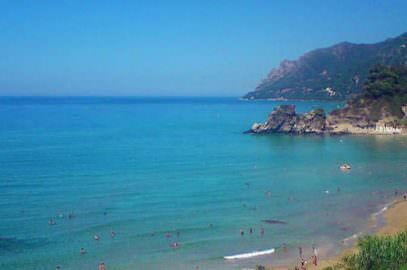 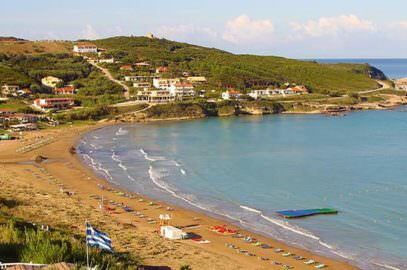 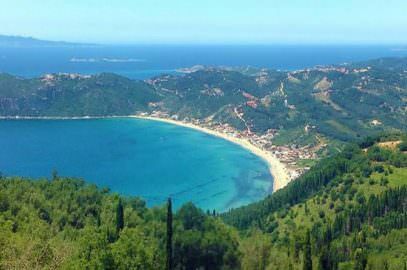 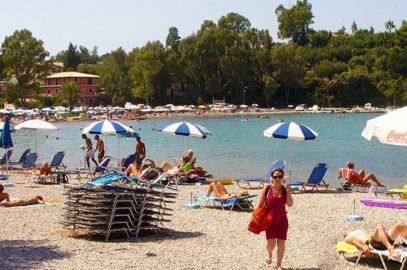 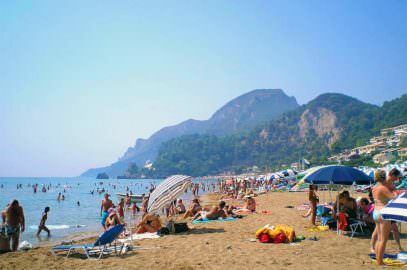 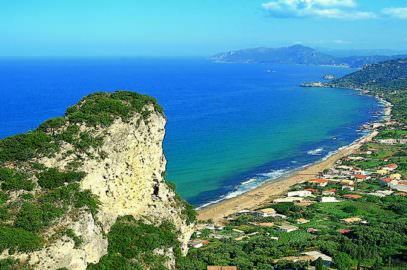 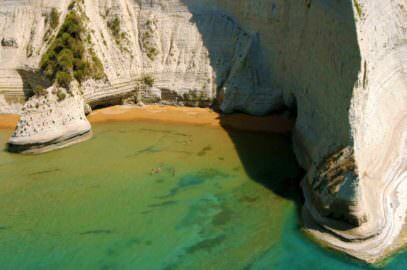 It is not a traditional village with permanent inhabitants but the sandy beach of Argyrades, a large, traditional village in south Corfu. 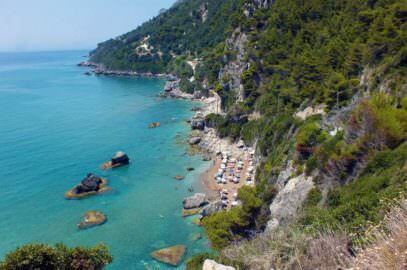 Argyrades is one of those villages in Corfu`s countryside where time is slowly and radically flowing and daily life has remained the same for decades. 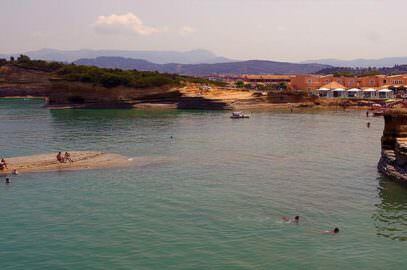 About three decades ago, the beach had nothing but sea and sand, and very few locals have some houses down there. 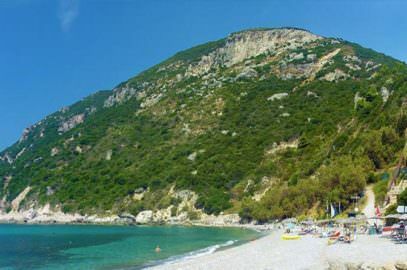 Visitors came from other resorts just to enjoy swimming in the clear waters of the wild and untouched beach, and leave. 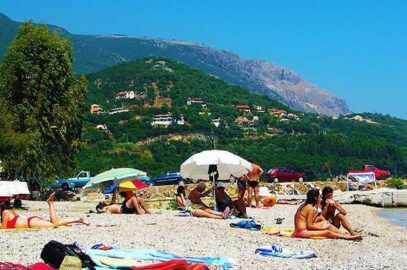 There were just 2-3 houses belonging to residents of Argyrades and 2 or 3 restaurants, the beach was virgin without loungers and other amenities. 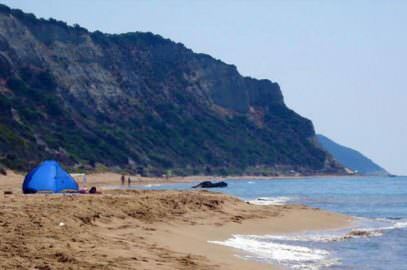 Life and habits may not change in Argyrades, but it has changed rapidly in recent years at the beach of Saint George. 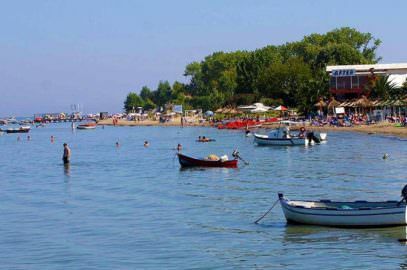 Agios Georgios today has been transformed into a well-organized tourist resort with many water sports and sun loungers with umbrellas in most places, as well as pedalos. 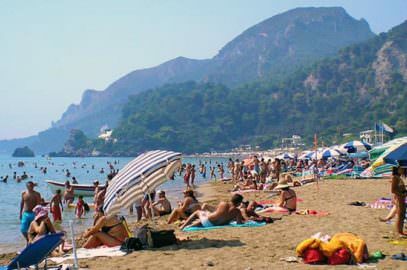 Also many hotels and apartments emerged leterally from the sand, bars and restaurants, supermarkets and all sorts of shops on the street that was constructed just behind the beach, there are even clubs for nightlife. 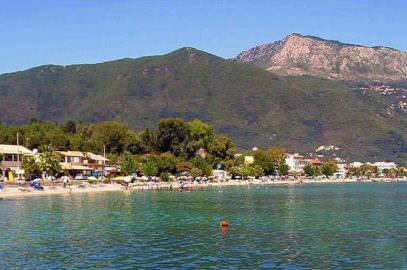 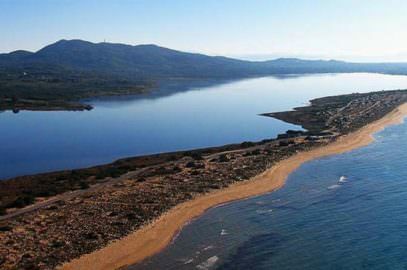 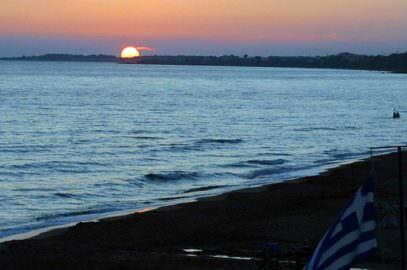 The beach stretches for about 6 miles and consists of two pieces separated by a small harbor in the middle, the northern part bordering with the beach of Issos and the south part neighboring with the beach of Marathia. 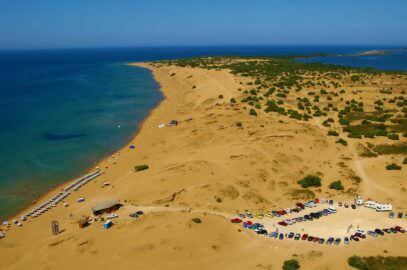 Both beaches have fine golden sand, shallow waters ideal for children, and all the amenities needed to enjoy the sun and the sea. 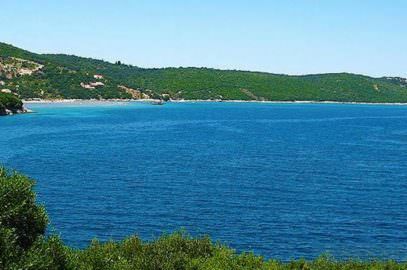 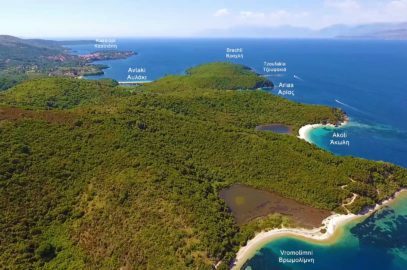 So, for those who have chosen St. George as their holiday destination, there is also the possibility of easy access by bicycle or by walking to the neighboring beaches of Issos and Marathias as well as to the nearby lake of Korission. 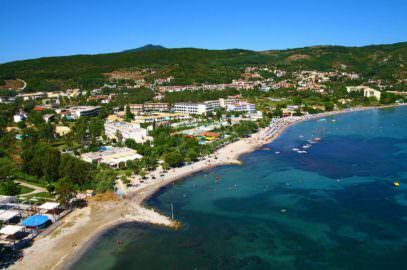 Agios Georgios has turned into a seaside resort that caters to families with children or couples looking for comfort and relaxing holiday with good possibilities for night entertainment. 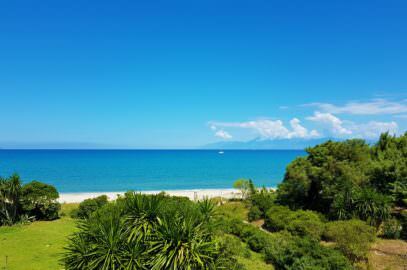 It is a large and beautiful beach that despite the development remains relaxing enough and has everything it takes to please and relax those who choose it as their vacation place.